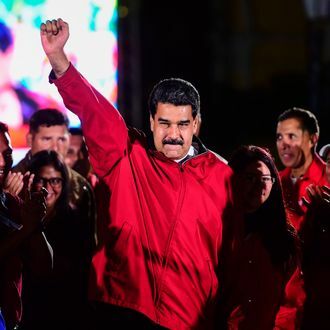 Maduro’s defiant speech comes as Venezuela spirals into chaos in the wake of Sunday’s election of members to a constituent assembly, which will remake the country’s constitution. The body technically has more power than Maduro, but all those elected are considered close leftist allies or cronies of the president, and critics fear that Maduro is using the assembly to consolidate power and potentially dissolve Venezuela’s opposition-controlled legislature, the National Assembly. 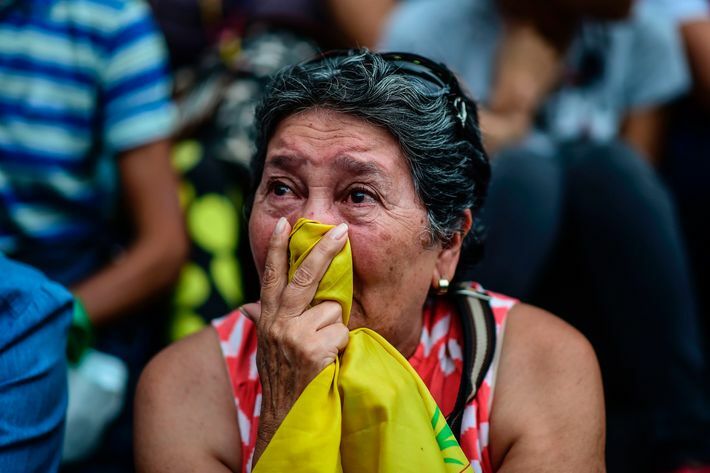 Fears which now seem to be playing out in real time, after reports that two of Venezuela’s prominent opposition figures were removed from their homes in the dead of night by state security services. The Maduro-aligned Venezuela Supreme Court claimed that the two men, Leopoldo Lopez and Antonio Ledezma, had violated the terms of their house arrest by posting critically about the Venezuelan government, and had plans to flee, reports the Washington Post. Both men publicly denounced Maduro’s constitutional vote on social media, but the reports of them preparing to flee are a bit suspect. Another video, also published on social media, allegedly shows the moment Ledezma, a former Caracas mayor who has been under house arrest since 2015, was forcibly taken from his home. Maduro repeated threats Monday to crack down on the opposition, which widely boycotted Sunday’s vote stacked with Maduro loyalists. At least ten people died in clashes between police and protesters that accompanied the vote, and the violence may escalate if Maduro continues to consolidate power and freeze out the opposition. The United States is also considering additional sanctions against Venezuela, though for now it has just punished those in Maduro’s inner circle, and the leader himself. Maduro is only the fourth head of state to be directly sanctioned, putting the Venezuelan president in what National Security Adviser H.R. McMaster called an “exclusive club” with Syria’s Bashar al-Assad, Zimbabwe’s Robert Mugabe, and North Korea’s Kim Jong-un.